Pheasant Ridge was started with a vineyard, planted by the Cox family after an intensive search of the High Plains for a site perfectly suited for growing French vinifera wine grapes – a terroir that would produce wines of bold flavor and character. Fifteen aces were planted in 1978, at that time the largest all vinifera vineyard in Texas. Most Pheasant Ridge wines are produced from grapes we grow ourselves. Since our founding in 1982, we've used 100% Texas Fruit. 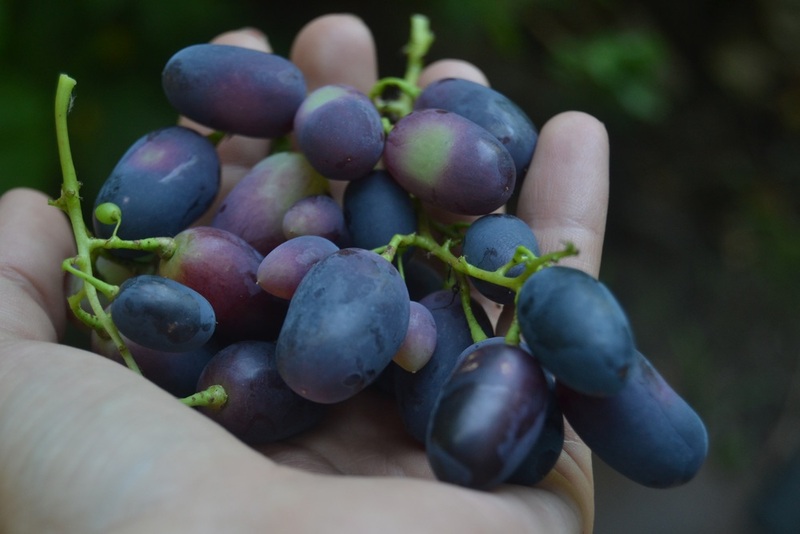 All grapes are harvested by hand. This ensures only grapes worthy of our label are selected. We have one method for determining when to bottle our wines: the palate of the Winemaker. Others age to a schedule, we age to perfection. Next Wine Club Pickup Day will be Saturday, June 29th 3-6pm! It's time for our famous Arbor Nights Summer Concert Series! 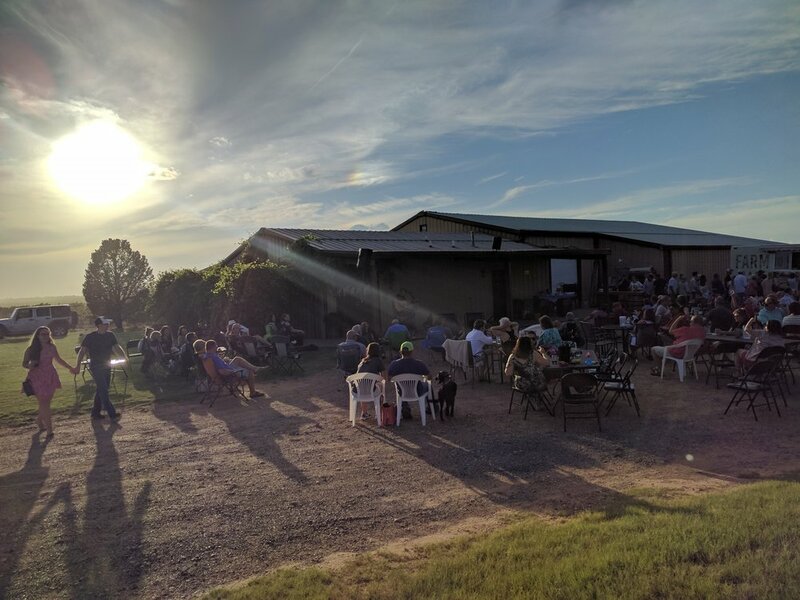 Join us as we slip into the weekend with Live Music, Food trucks, Lubbock Grown Wine, and a gorgeous West Texas Sunset! Friday Nights listed 7-10pm! A: No. We operate under a TABC (Texas Alcoholic Beverage Commission) winery permit. Under TABC law NO OUTSIDE ALCOHOL is allowed on Pheasant Ridge property. We are a family owned winery, and provide entertainment with no cover charge. We do this because we’re excited to share our vineyards, views, and wines with you. In return, we deeply appreciate your support and humbly ask that you only consume our wines on our property. Liquor is strictly prohibited at all times. You’ll be asked to leave immediately, and we reserve the right to disallow you from Arbor Nights. Bobby Cox has been cultivating Texas vineyards since 1973. Following graduation from Texas Tech, Bobby and Jennifer Cox traveled the wine growing regions of France and the United States. In 1978, they returned to Lubbock and planted the first 15 acres of Pheasant Ridge. The winery was founded in 1982. One year later, Bobby Cox produced a wine that would change history. In 1986, Bobby Cox's 1983 Pheasant Ridge Cabernet Sauvignon won Gold in the San Francisco International Wine Competition. Today, Pheasant Ridge is back under the ownership of founders Bobby and Jennifer Cox. Pheasant Ridge has won over 200 medals in its 34 years of operation. It stands as the 7th oldest winery in the state, and 1 of approximately 4 100% Estate Wineries in Texas.